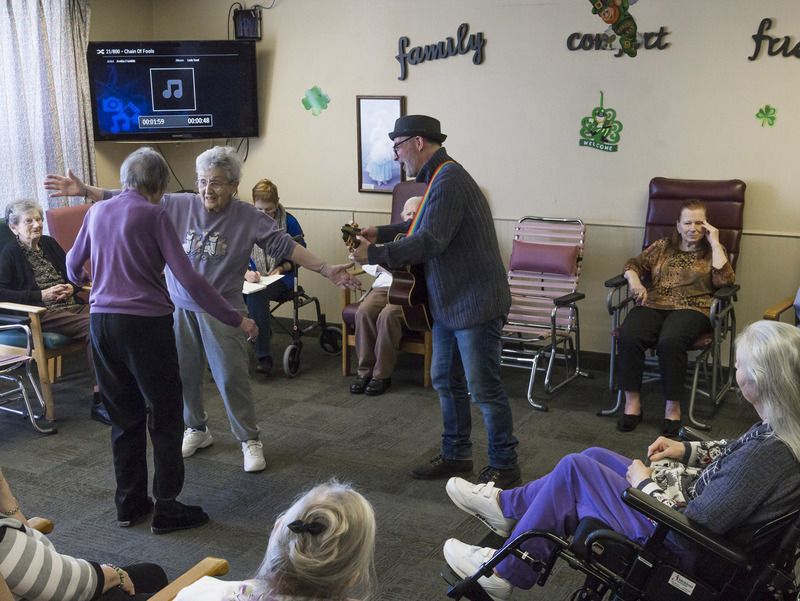 A music therapy session for seniors with cognitive disabilities is observed at Westgate Lodge Long-term Care Home in Belleville on Mar. 11, 2015. Andy Forgie (centre) is a local musician in the band All You Need Is Love and is also promotions manager at the Empire Theatre, who also conducts music therapy sessions in his spare time. 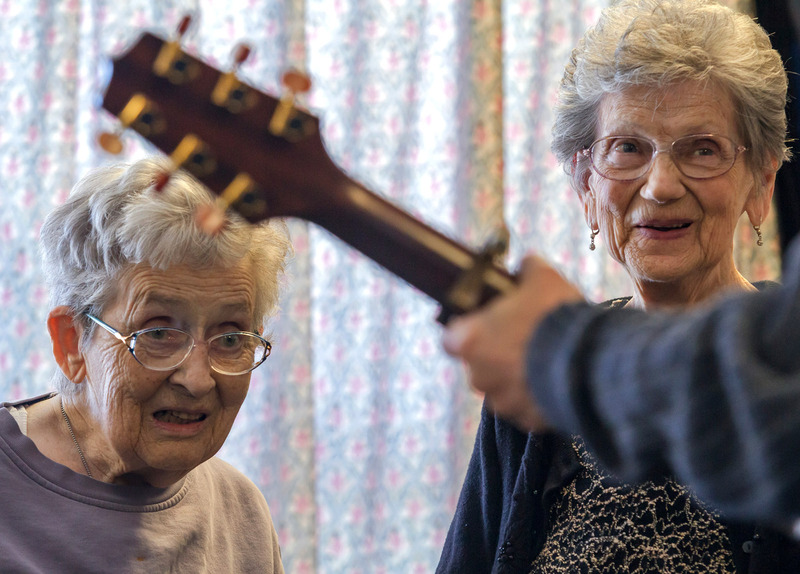 Lois Adamson (left of Forgie) is a resident in the cognitive disabilities wing at Westgate Lodge and is known for being energetic and welcoming towards other residents during the music therapy sessions. 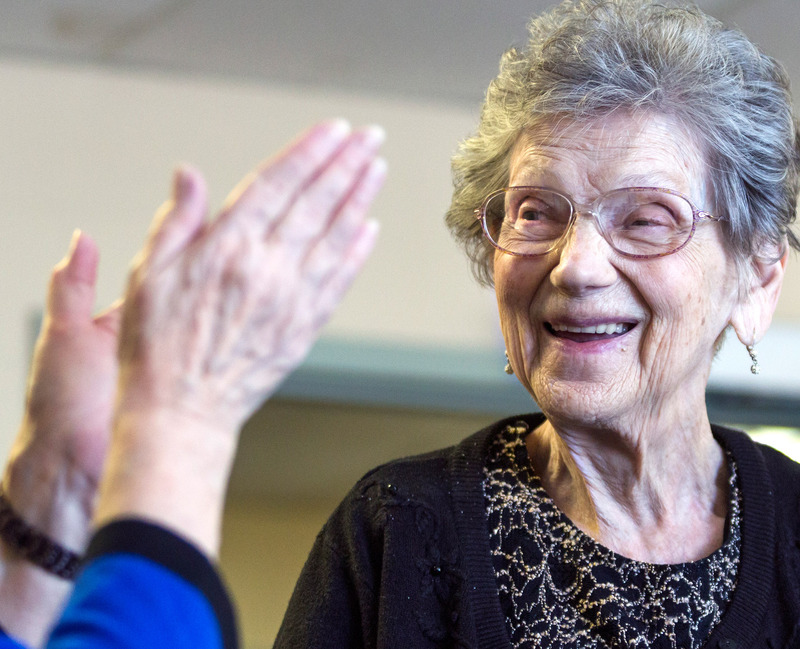 Lois Adamson takes a break from dancing during the Wednesday music therapy session for elder's with cognitive disabilities at Westgate Lodge on Mar. 11, 2015. Lois Adamson dances in a carefree and energetic manner with a few other ladies. Depending on the day, and the music choice of Andy Forgie— the musician who performs the sessions— Adamson, who has a cognitive disability, will either be somewhat vacant or extremely engaged in the session. 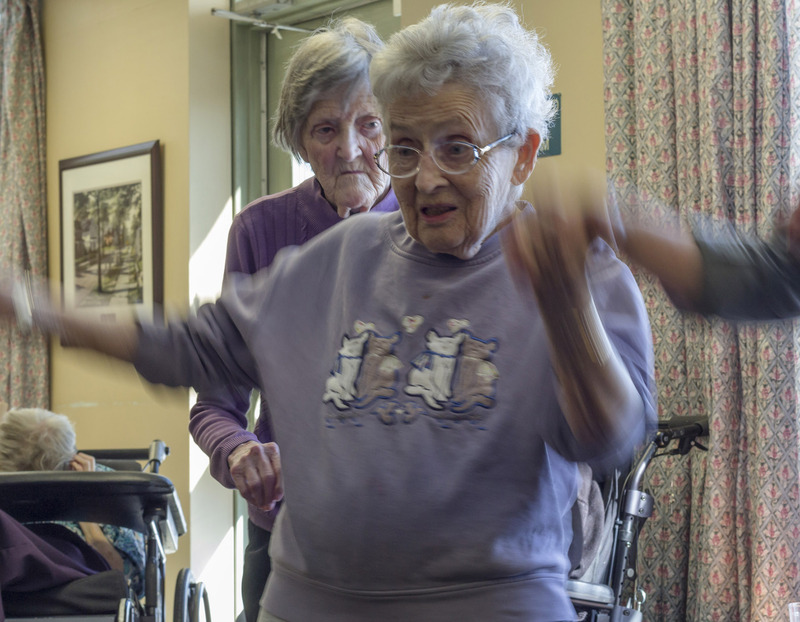 Lois Adamson dances on her own on the outskirts of the therapy group while Andy Forgie engages with Frances McDonald during a music therapy session at Westgate Lodge. 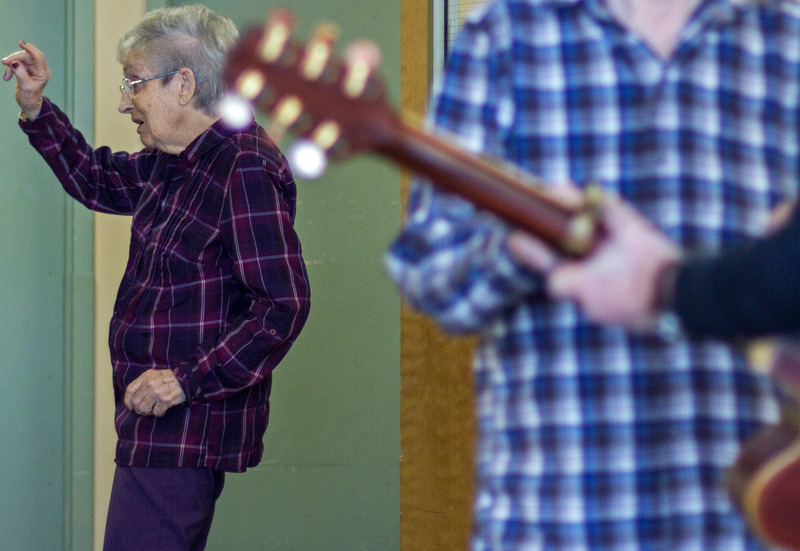 Andy Forgie serenades Frances McDonald while she dances in the centre of the circle of elders, giving her some focused one-on-one time, which he believes to be the ticket in helping to treat seniors with cognitive disabilities. 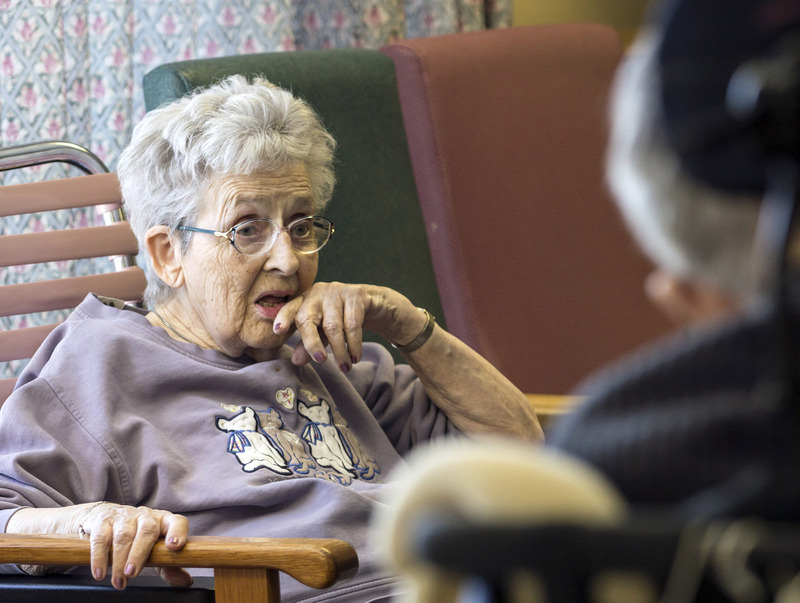 Edna Penny, a resident at Westgate Lodge, engages in one of Andy Forgie's music therapy sessions at Westgate Lodge on a Wednesday afternoon. 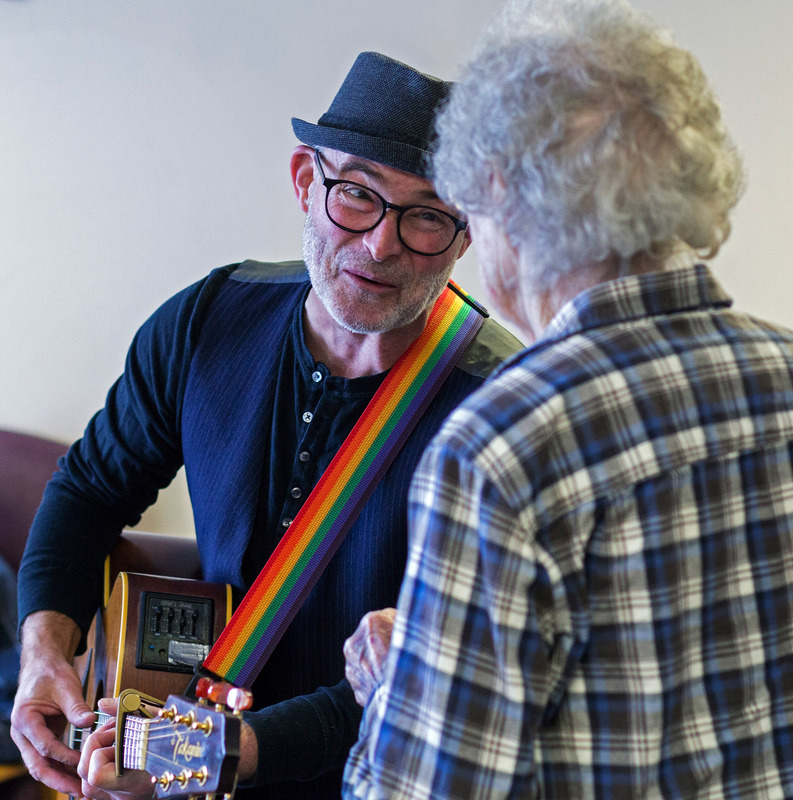 Lois Adamson and Edna Penny enjoy a moment with Andy Forgie while he sings and plays the guitar during a music therapy session with elders who have cognitive disabilities at Westgate Lodge.